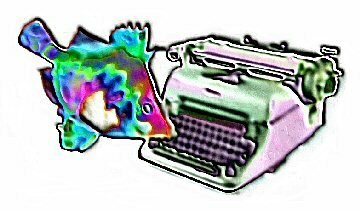 A Fish Needs A Blog: 46 Degrees...But It's A Dry Heat! 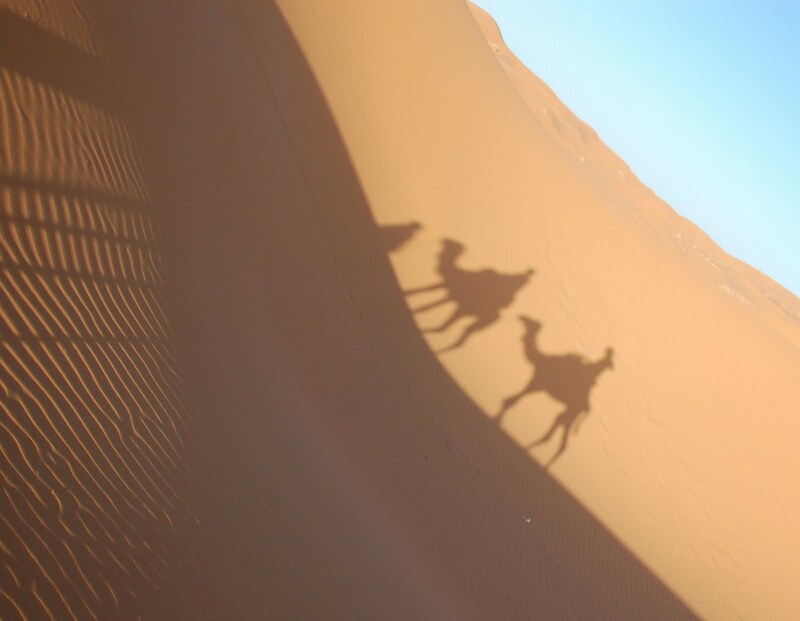 For our second day at Khamlia we had arranged a guided camel trek into the dunes of Erg Chebbi. This is the sort of thing that most people seem to come to this region for, or at least those that are not here for ATV or 4x4-ing in the same desert. There are apparently about 70 hotels, auberges, and other sorts of accommodation in the area. They are largely off the road near the base of the dunes themselves, and many of them come with all mod cons, even swimming pools. Our place is not so well endowed and well south of all of the others in the next village, a tiny community of only 43 families, and as far as we know the last place to stay on this road. The dunes are only a short distance away though and form the backdrop to our northern horizon. Morocco has a lot of desert, most of which is not sand dunes, but is more similar to the rocky sparsely vegetated variety one sees in Mexico or the southern USA perhaps. Some of the terrain makes me think of lunar landscapes, as it is so void of life and distinctive features it seems quite alien. The ground around here where it is not covered by sand dunes is often very flat and covered in a heavy black grit, and interspersed with small rocks of apparently the same material. There are rocky hills and outcroppings of similar stony appearance. The dunes have a pinkish hue, though the colour changes with the level or angle of daylight. On the day we went out on our camels, it was just as hot as the day before and since the plan was to sleep in the dunes we did not set out until about 7 pm. The camels were supplied by our Berber guide Omar, a neighbour from next door in the village. He owns 3 camels, but tends for several others for other locals. A good domesticated camel runs about 12,000 or so dirham in case you were wondering, but one still rough around the edges might be had for maybe 7000, if you want to housebreak him yourself. Bobby and Betsy showed up and soon the food and Linda went on the smaller lead beast. We know the one she rode was a boy (hence Bobby), but never really checked out the goods on my steed, so she/he/it became Betsy. They were very well mannered, though Linda claims Betsy kept spitting at her, but certainly due to the short tether between the 2 animals she was at least breathing down her neck. Legs are wide apart and forward, while bouncing back and forth hanging on to the bare steel t shaped handles on the horn of the saddle. Especially when the going got steep in the dunes it was a bit like bull riding in a red neck bar (not that I've done that lately) for 2 and ½ hours, and without the Lone Star beer. As I mentioned we started out late, after the day started to cool, and as the sun set around 8:30 we actually were wandering the dunes at night looking for the best route in the dark. Omar certainly did know where he was going as he steadily trudged along humming to himself and loosely holding the rope leash attached to Bobby. Probably 70 years old, he never seemed in doubt of the location of our camp for the night, but sometimes had to make detours to find the best route along, around and over the dunes. At least once the camels balked at the knife edge crest of sand we were trying to use, so we would have to adjust the angle of attack. And on more than one occasion they had to go into full braking mode to avoid tumbling down some of the steeper slopes. We just had to hand on and trust the All Wheel Drive beasts and driver. Eventually, when it was nearly pitch black, we reached our camp. 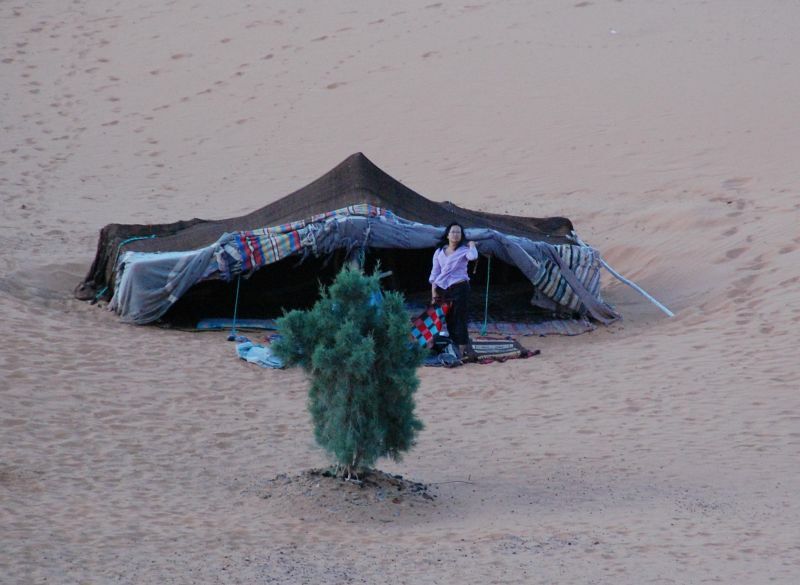 The area has several traditional Berber tents set up in a semi permanent location at the base of one of the larger dunes, a monster I would guess at 100 meters high or more. The camp has one old guy tending the place and he greeted Linda with “Bonjour Fatima!” He acts like the caretaker and camp cook, and he took away the food Omar brought in order to prepare our tajine. Yep, Tajine again, only this time served at 11pm in the dunes with a traditional candleholder made from a plastic water bottle and when that inevitably melted, by my headlamp. As we waited for our food and after we ate we lay back and enjoyed the stars and the quiet. There was only one other occupied tourist tent, plus their guide. The 2 guides and the camp cook served us and then retreated to their blankets some distance away. The camels were still tied to each other and the front one was hobbled by a rope around the bent front leg so that he could not straighten his leg and stand up. There was also a mule in attendance and a camp cat or 2, one of which made Linda jump out of her skin. We slept under the stars, on traditional looking blankets and cushions, opting not to get in under cover under the tent. No blankets on top at first, it was well into the early morning when we needed one. It was about as peaceful as you could imagine. By 7 am we had drunk our first pot of Berber whiskey, broken camp (easy for us, as we brought practically nothing with us and had slept in the clothes from the day before), and were back in the saddle. After a while, when we stopped for a short break, I opted to walk for the majority of the way back. Omar sets a good pace in his sandals made from leather and old car tires, and I kept up in my Chacos, until about ½ hour from home base when I got back on as my radiator started to overheat. Showers back at the house were certainly appreciated by all, as was a well earned breakfast. Before long we set out on the road leaving Khamlia behind, on our very much camel bruised behinds. It really was a great place, and we would have enjoyed staying longer as the hosts and family were so nice. Next time we could participate in a Berber wedding that we just missed or get to know some of the Gnaoua musicians in the village. We just know that we will do it at some other time of year than summer!